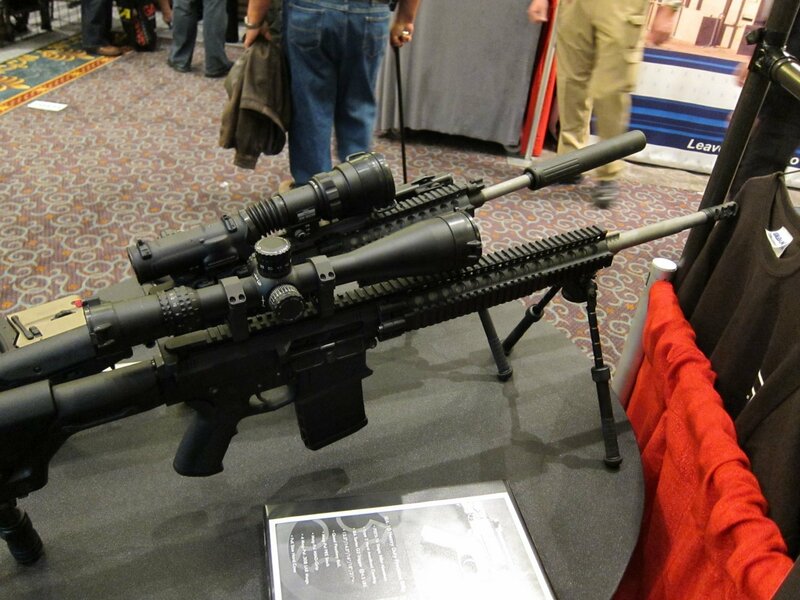 Iron Ridge Arms IRA-X (formerly IRA-10) Complete Sniper Rifle/Battle Rifle: This time, Thor’s hammer takes the form a 7.62mm/.308 tactical AR sniper rifle/carbine. | DefenseReview.com (DR): An online tactical technology and military defense technology magazine with particular focus on the latest and greatest tactical firearms news (tactical gun news), tactical gear news and tactical shooting news. 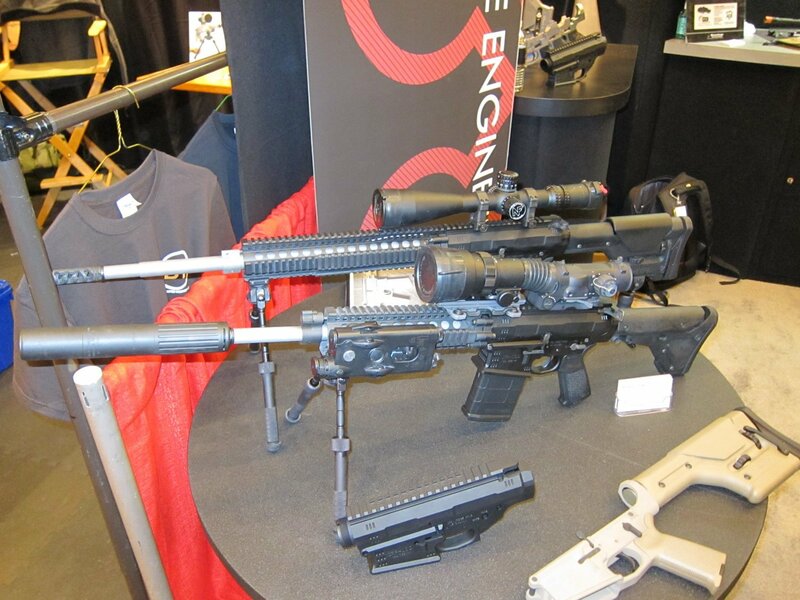 Kitty corner to the Lewis Machine & Tool (LMT) booth at SHOT Show 2010 was the Iron Ridge Arms (IRA) booth, which is wholly appropriate, considering that, like LMT, IRA is building semi-auto 7.62x51mm NATO (7.62mm NATO)/.308 Win. 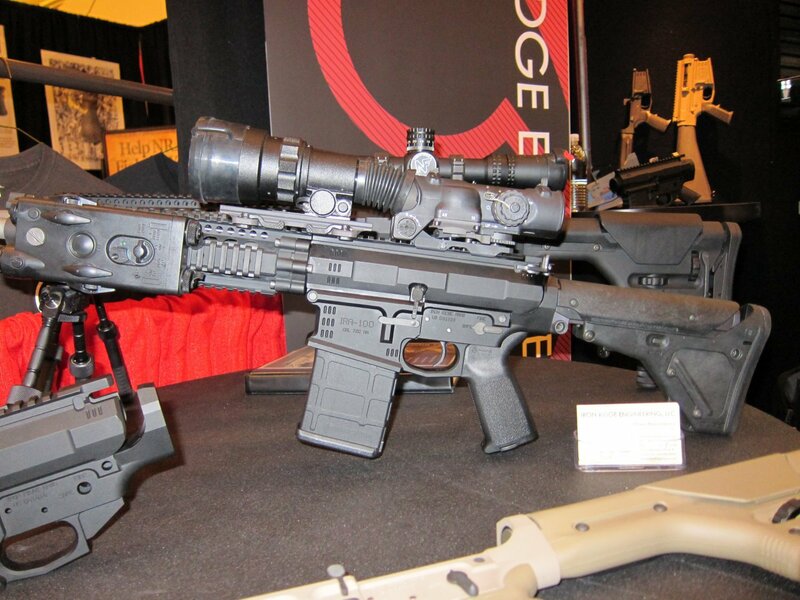 semi-auto tactical AR-10-type rifles/carbines off of their (IRA’s) own 7.62mm AR (aluminum billet) upper and lower receiver assembly. IRA is run by one very enthusiastic and extraverted Oliver Mazurkiewicz, who, as you can see, does not have one of the easiest last names to spell. 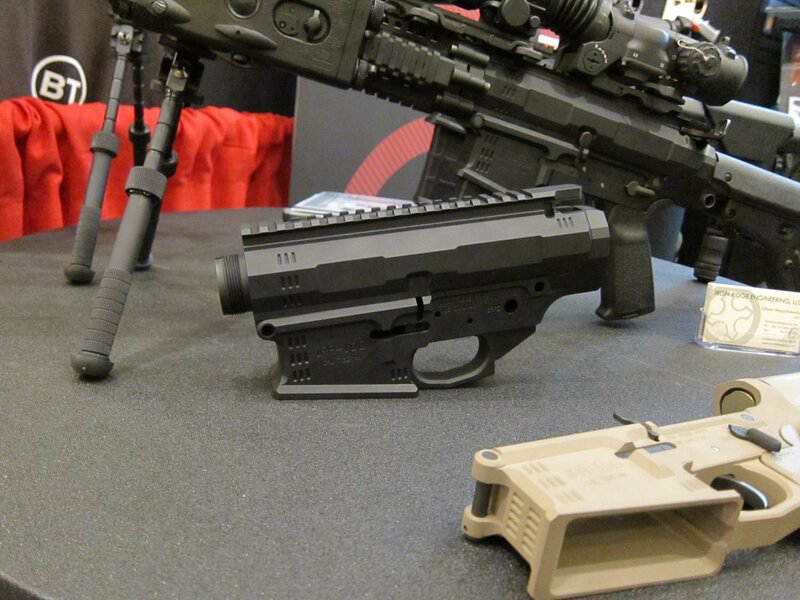 DefenseReview first met Mazurkiewicz at SHOT Show 2008 in Las Vegas, when he sought us out and made it a point to show us some of IRA’s initial products, including a prototype 7.62mm AR lower receiver and prototype muzzle compensator. 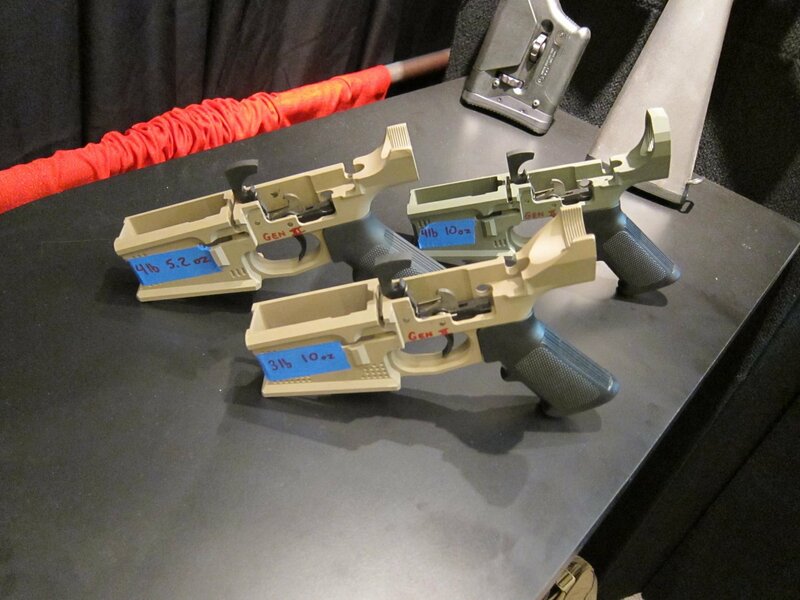 Then, last year in Orlando, FL, at SHOT Show 2009, he showed us IRA’s further-developed 7.62mm AR lower receiver design in various colors. This year, IRA’s ready for prime time with matched lower AND upper receivers AND complete guns. Not bad for a small company. IRA’s semi-auto AR-10-type complete rifle/carbine series is called, appropriately enough, the IRA-X Rifle/Carbine Series, formerly known as the IRA-10 Rifle/Carbine Series. The “X” is the Roman numeral X for the Arabic number “10”. Defense Review viewed and handled the IRA-X Complete Rifle, and what we believe were the IRA-X Thor and IRA-X Thor-S carbines, at SHOT (2010), and we came away impressed with them. The rifles/carbines looked and felt good, including their respective triggers, which is important. Mazurkiewicz informed us that the Rifles Only instructors (with whom IRA shared booth space) that have run the guns are pleased with them, so far (as of the show), and that the guns were running great. The IRA-X operates via direct gas impingement (DGI) a.k.a. 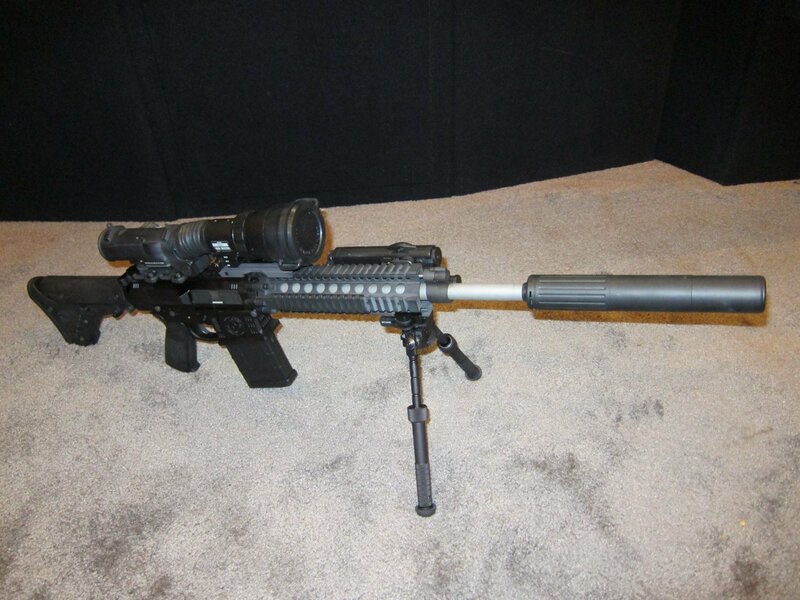 direct impingement gas (DI gas), just like the LMT MRP .308 Modular Weapon System (LM308MWSE). Assuming the guns work as advertised–and there’s no reason at this point to think otherwise–and they’re priced competitively, IRA should do well with them. The stripped receivers look good and the trigger action is good, so IRA’s Hand-Matched Receiver Sets should make for a fine foundation for anyone wanting to build their own AR-10-type rifle/carbine. 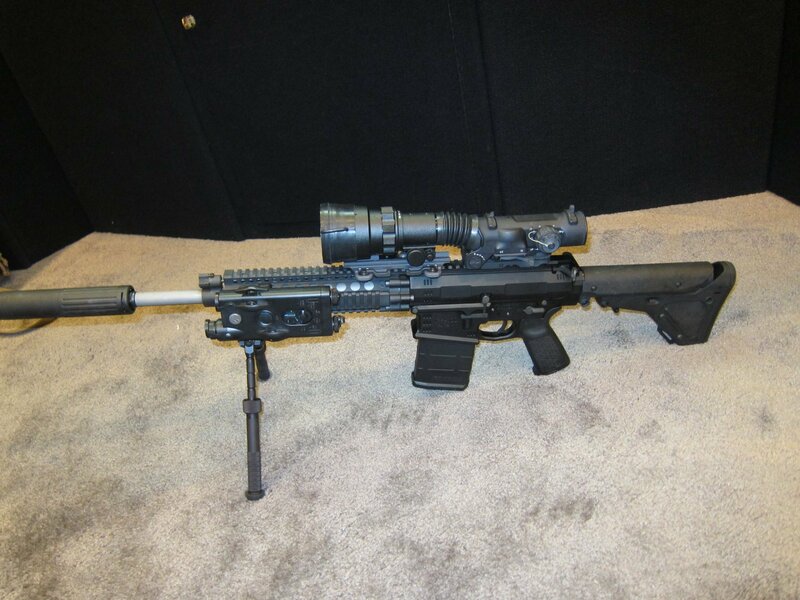 • Daniel Defense Quad Picatinny Rail. • 4 Mag-Pull .308 LAR Mags. • 4 Mag-Pul .308 LAR Mags. Next: Future Iranian (Bladerunner 51/Bradstone Challenger Copy) Speedboat Swarms vs. U.S. Navy Aircraft Carriers: Van Riper Redux?